We have established a state-of-the-art warehouse facility and equipped it with the latest inventory control system. Thus, we can take care of seasonal supply, wholesale supply, and quick supply among others. Purchasers across N Yuejing Road(China) and other market places can get in touch with us for buying our product as per requirement. AgNW PET Film can be widely used in display device(LCD and epaper display), touch screen(mobile phone, notebook computer, industrial equipment, etc. ),thin film solar cell, OLED lighting, wearable electronics, flexible electronics and other electronic products. 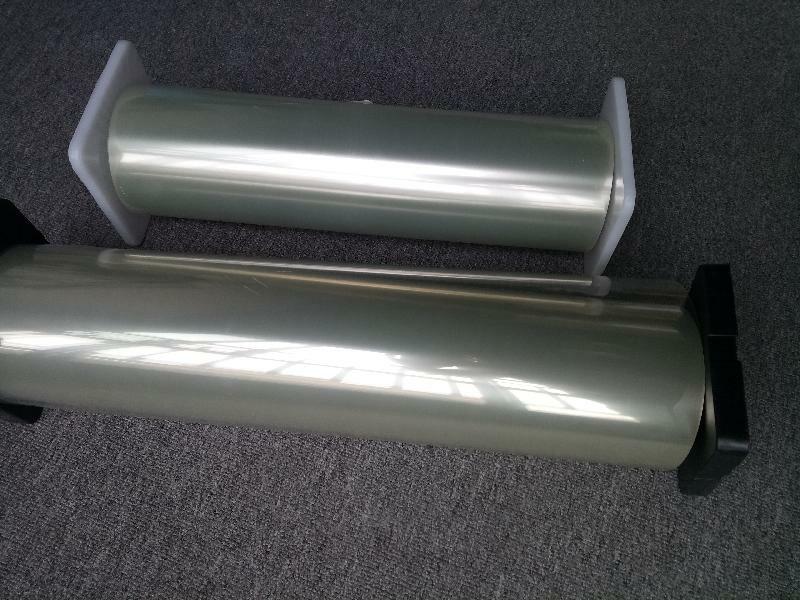 The AgNW PET Film is nano wire silver coated on optical PET substrate,has the characteristics of good conductivity and flexibility, high transparence. Compared with metal mesh, Murray interference problem does not exist on AgNWs-Film. It can be applied to various sizes of display screens and has a higher light transmittance and a smaller bending radius. The transmittance can reach 90% when sheet resistance of AgNWs-Film at 30-50Ω and resisstivity largely unchanged after repeated bending. ITO belongs to brittle material, it does not apply to the flexible touch screens and the cost has been stubbornly high.AgNWs-Film has better flexural endurance and lower cost. The phenomenon of the plunge of transmittance and the dramatic increase of haze on ITO-Film will occur with the reduction of sheet resistance and the increase of the thickness of conductive layer. AgNWs-Film does not have this problem. Take GF for example, ITO sensor line needs to be bound and printed silver pulp because of its high electrical resistance, while silver nanowires sensor line with low resistance can bind directly,which simplifies the process and save the cost. ITO-Film is difficult to realize double coating, high-end products need to adopt GFF structure, so it possesses poor optical performance and low finished product rate, while AgNWs-Film can achieve double-sided conduction, which possesses good optical performance and high finished product rate. Strong adhesion, Using 1kg force to wipe with a clean cloth after taking alcohol the resistance has not been changed after 100times. Stable performance.It will not appear the phenomenon of yellow or silver wire migration after a long time. The line width can be done at 35um or less, normal resistance, no swell occurs. Either laser technology or Yellow light technology can also be used. There is no matching problem with silver paste.Silver paste of high or low temperature all can be used. TP with small or medium size do not have to print silver paste. Good performance of anti-bending, suitable for touch screens of high and low curvature. Temperature and wet resistance : AgNWs-Film was baked at 120 for 30 minutes. Chemical resistance : AgNWs-Film was soaked in solvents for 10min at 25 or wiped with 1kg force using a wet cloth with organic solvent.